Competitive advantage. The value chain. Five forces. Industry structure. Differentiation. Relative cost. If you want to understand how companies achieve and sustain competitive success, Michael Porter’s frameworks are the foundation. But while everyone in business may know Porter’s name, many managers misunderstand and misuse his concepts. Understanding Michael Porter sets the record straight, providing the first concise, accessible summary of Porter’s revolutionary thinking. 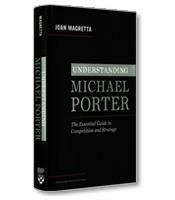 Instead of creating a comprehensive reference guide to legendary strategic thinker Michael Porter, Joan Magretta encapsulates in her book, Understanding Michael Porter, the heart of Porter's contribution. A long-time editorial collaborator but not an employee of Porter's, Magretta also clearly explains why his work was revolutionary and why it is still completely relevant decades later. Magretta begins by describing the context of Porter's approach, using as a metaphor a bridge over a river - but not just any river. As Magretta explains, the Charles River in Boston separates Harvard Business School, which featured detailed, corporate-specific case studies but no overall frameworks, from the Harvard University economics department, which offered overarching frameworks hard to apply at the company level. In short, on one bank of the Charles, one found specifics but not enough generalities, while on the other bank, one found generalities but not enough specifics. "Trained in both schools, Porter felt that neither one adequately explained what happened in competition," Magretta writes. "Case studies captured the complexities of an individual situation, but in so doing failed to see the forest for the trees … Economic modeling went too far in the other direction. Because formal models could capture only those aspects of competition that could be solved mathematically, they reduced the richness and multidimensionality of competition to an abstraction that was too far removed from reality to be useful." Porter's solution was the creation of his now-famous frameworks, which offer the general fundamental relationships that drive competition but that can be applied to all companies in all industries. With Porter's frameworks, writes Magretta, "you will get a rigorous and clear mapping between your strategy and your organization's financial performance." 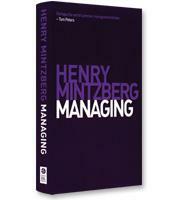 Magretta divides her book into two sections: the first on competition and the second on strategy. The section on competition begins by establishing the right mindset about competition, specifically that competitive success comes from being unique and not, as commonly proposed, from being the best. Magretta notes that books such as Blue Ocean Strategy by W. Chan Kim and Renée Mauborgne completely misrepresent Porter's philosophy on competition. He does not believe in a zero-sum, fight-to-the-finish strategy (bloody "red ocean" strategy in Kim and Mauborgne's terms) but, on the contrary, in a fight to be unique that can have multiple winners (each being unique in their own way). Having established the right mindset, Magretta then explains Porter's most famous frameworks, the "five forces," which companies can use to describe and assess their industry and the "value chain," the foundation of a company's competitive advantage. continuity of strategy, which emphasizes the dangers of too much change or changing in the wrong ways. Magretta ends her book with a glossary of Porter's terms and, especially enlightening, an interview with Porter in which she asks the questions that most frequently arise in the Q&As that follow his presentations. As with Fred Astaire and his dancing, Magretta's skill as a journalist and writer, combined with her in-depth understanding of and personal relationship with Porter, hides the difficulty and challenge of her chosen task: to explain in 200 easy-to-read pages what Porter said and why it's important. She has succeeded brilliantly.